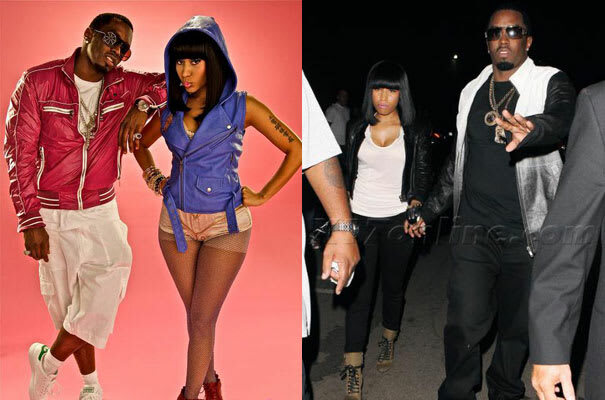 This past April, amid confusing reports about whether or not Diddy was managing Nicki, pictures and video hit the Net showing the two leaving popular LA nightclub, Guys & Dolls, walking hand-in-hand. Rumors swirled about the closeness of their relationship. However, Nicki shot them down in an interview with MTV’s DJ Envy, saying “I hold everyone’s hand.” OK, fine, maybe they aren’t hooking up, but when we interviewed Nicki for our Oct/Nov issue, she refused to even discuss Diddy. Damn, Nicki, can we at least hold your hand too? Please?